The Smith & Nephew 660HD Image Management System is an easy-to-use digital photo and video capture system that enables the OR staff to capture, edit, print, and store intraoperative surgical images and videos in true 1920 x 1080 high definition (HD) format. Videos are recorded in the highest quality MPEG1, MPEG2 or MPEG4 format. Multiple Image Management systems can be connected to the hospital network. All these systems can simultaneously and automatically archive all their patient data to the archive. The metadata collected in the IMS system is used automatically as meta data of the archived patient data in the archive. The Medical Video Archive Solution integrates easily in almost any existing environments. 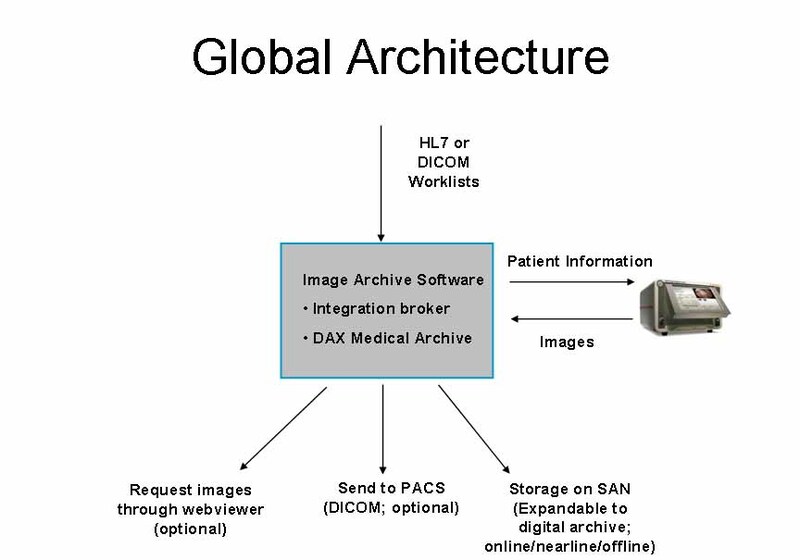 The integration broker facilitates HL7 or DICOM worklists feeding the individual capture systems with relevant patient information.When data is saved on the capture systems, image and video data is sent to the network archive, which is simply created by software using available network storage. If required, the storage system can be expanded with true archiving solutions, adding tiered life cycle management to the whole solution. Data can also be transferred to the hospitals PACS by means of the DICOM protocol. Links from Electronic Patient Files can be established easily, using URL and Patient ID’s enabled by the File & Folder Web interface.